The Shire Mods are a residence community that offer apartment-style living arranged around courtyards that provide students with medium-sized, outdoor common areas as well as large grassy areas outside the courts for student gatherings and activities. The community also includes a central card-operated laundry facility and a large recreation room that features a lounge area, ping pong tables, and a community kitchen. The Shire’s layout is excellent for community-building, and its location on campus allows easy access to university resources and services. Electricity, water, and gas costs are included in the rates listed below. 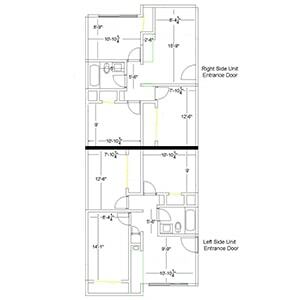 Floor Plan A offers traditional two-bedroom apartment housing intended for four students. 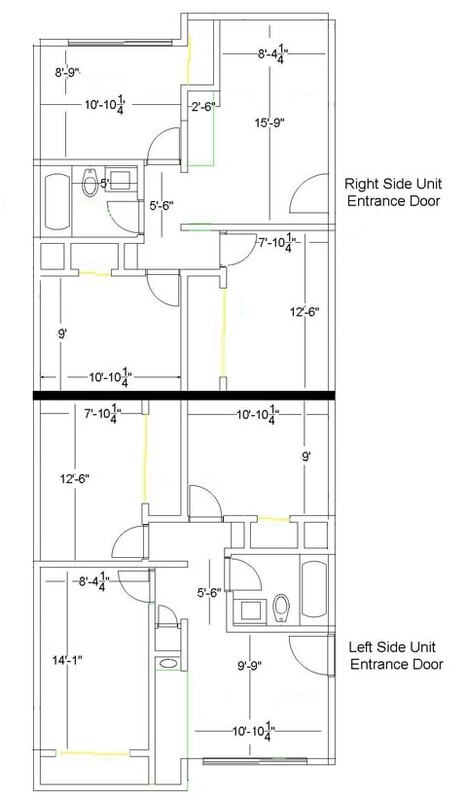 These units have one bathroom and a kitchen with a full-size refrigerator and a stove. These apartments also have window air conditioners and wall heaters. 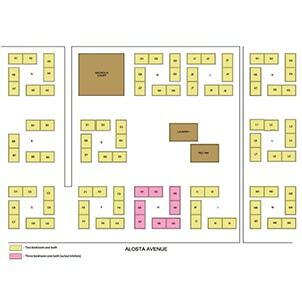 Each student receives a bed (APU Bed Specifications (PDF)), desk, dresser, and chair. 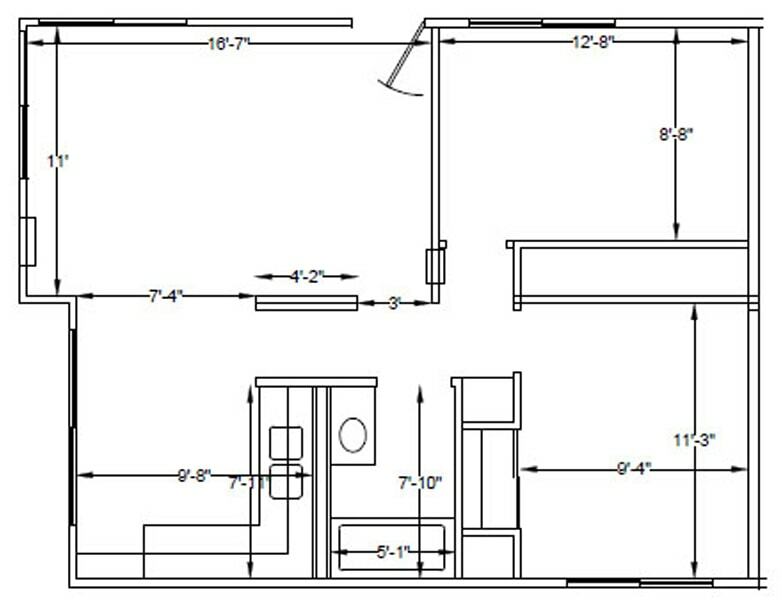 Floor Plan B (H-court only) is a suite-style unit housing four or five students in three bedrooms with one bathroom and a common living room. These renovated units have central heating and air conditioning. 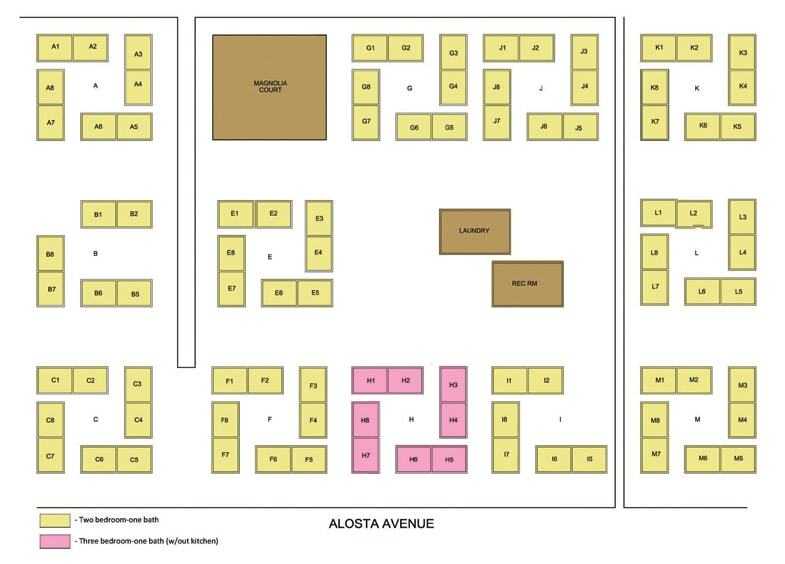 Each student receives a bed (APU Bed Specifications (PDF)), desk, dresser, and chair. H-court units do not have a full kitchen; they have a small kitchenette area in which students may place small appliances, such as a microwave, small refrigerator, or toaster oven (not provided). Because of this, students living in H-court must purchase a dining plan in accordance with university requirements. Also, there is no quintupling discount for students in H-court because the price is already adjusted for five students. 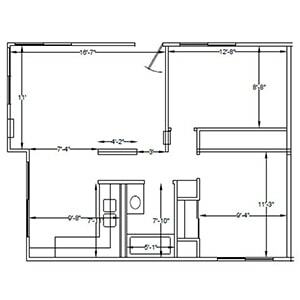 Shire Modular Plan B: 3 bedroom 1 bath without kitchen. Two units shown side-by-side.